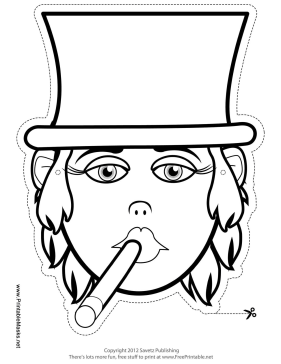 You can color in this female tycoon outline mask any way you choose! Be sure to decorate her tall hat, cigar, and wavy hair. This mask is free to download and print.